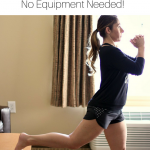 You are here: Home / Fitness / Destination Fitness / 5 Tips For Staying On Track When Traveling! 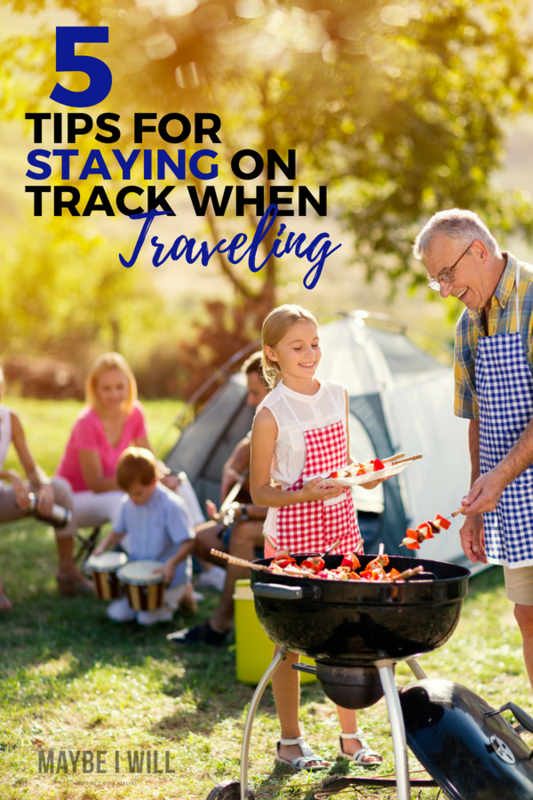 With vacations, family reunions, and road trips you may find staying on track when traveling difficult… These 5 simple tips will help you stay focused and on track! So the truth is sticking to your healthy diet and exercise plans can get a little tricky when it comes to hitting the road! There is something about traveling that echoes… all diets and exercise plans should be abandoned and ignored completely! Our inner voice whispers relax you’re on vacation… feel free to do and eat whatever your little heart desires! Well, mine does anyway… I venture to guess that I am not alone with this inner monologue. 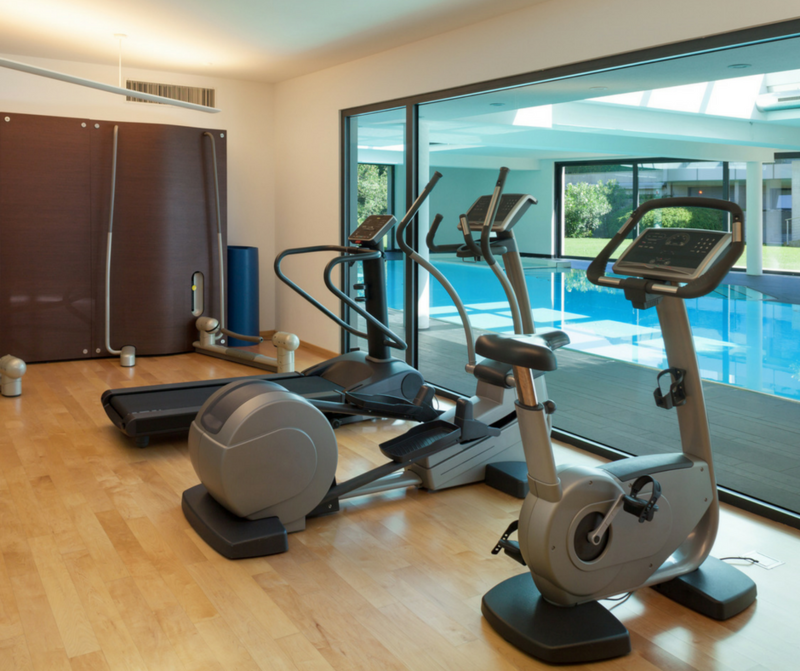 #1 Use Your Resources: Take Advantage of the gym where you’re staying! Most hotels have a passable gym or try out my hotel room workout – where you don’t even need to leave the room! If you are camping – take hikes use a park bench to do some pushup or triceps dips. Get creative and have fun with it! #2 Drink your water! — I think I should just change the name of my blog…To Drink Your Dang Water! lol… Making sure you’re staying properly hydrated will help you curb cravings, and keep hunger and unnecessary snacking to a minimum. It really is one of the best things you can do to help you lose weight and stay on track no matter what! – Aim to drink 2/3 of your weight in ounces! #3 Choose Wisely…. When eating out (which typically is a necessity when traveling) stick with words like steamed, grilled, and baked. Avoid words like sauteed and fried when ordering. And if ordering a salad order the dressing on the side. Most restaurants overdo it when it comes to dressings and by having it on the side, you are in total control of the amount used. Another tip watch portions, share with a friend or have them box up half. Be smart if you really do want to splurge on dessert order your burger without a bun and skip the fries. 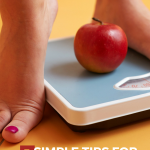 These small little tweaks help and keep you on track. #4 Plan Ahead! Make sure you pick up healthy snacks that you can eat on the plane and while traveling. 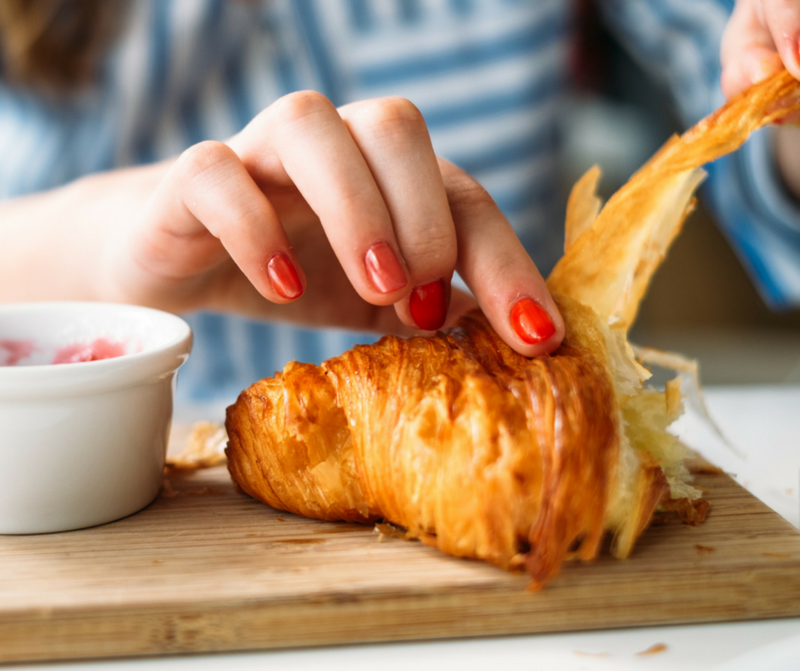 Having prepurchased and “on hand”snacks will help you stay focused and on track – you’re less likely to splurge on that airport Cinnabon if you have some healthy trail mix, or carrots and string cheese handy. #5 Above all take a deep breath and enjoy life!!! You’re on vacation! Even if it’s a business trip, you’re getting a break from the day today! Find fun and different ways to be active and move!! 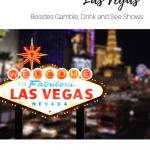 Take a walking tour of the city, use the app alltrails to find a fun hike near you. 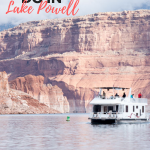 Go dancing, swimming, just get out and explore and if you have your kiddos with you – they will LOVE this! Enjoy every moment and be present! Vacation is not the time to stress about work or that laundry list of a gazillion items that needs to be done – it all be there when you get back. This time away is just as important to your wellbeing than working! 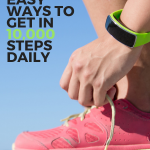 Great tips for sticking to a healthy lifestyle while you’re traveling!